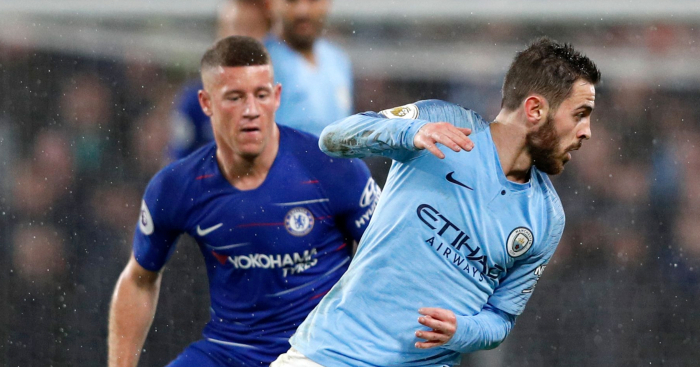 The reverse fixture between Chelsea and Manchester City, a 2-0 victory for the hosts at Stamford Bridge, was one of the most fascinating tactical battles of the season so far as two complex, high-pressing opponents produced a frantic, suffocating contest. There is every reason to believe this one will be just as good; both City and Chelsea are in confident, goal-scoring form. 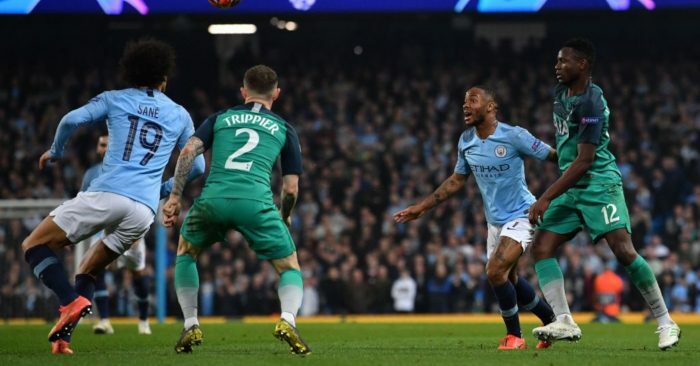 Pep Guardiola has described the game as a “cup final” for his side who – after beating Everton 2-0 in midweek – went back to the top of the Premier League table for the first time in 52 days. 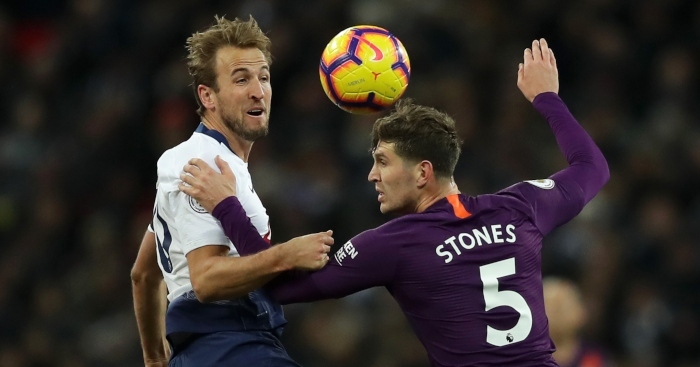 Liverpool will probably have knocked them back down to second by Sunday, increasing the pressure in what should already be an intense, breathless affair in Manchester. 1) Does Laporte at left-back give Kante a chance to repeat his performance in the reverse fixture? The defining feature of the game at Stamford Bridge was N’Golo Kante’s forward runs on the counter-attack, the Frenchman consistently breaking beyond David Silva in the second half to push City back and force the opener. What Chelsea proved was that, if you can evade the first wave of Guardiola’s press, City’s midfield is light on numbers. David Silva and Kevin de Bruyne sit high up the pitch, and while on City’s right Kyle Walker tucks infield to become a third centre-back (defending the space behind De Bruyne), there is no such plan on the left. Fabian Delph couldn’t keep track of Kante, so Aymeric Laporte certainly won’t be able to. For Chelsea to be successful in this regard they will first need to show dexterity on the ball in their own half of the pitch – something they failed to do in the opening 45 at Stamford Bridge, but gradually improved upon as City’s press waned. Success is certainly not guaranteed, yet Maurizio Sarri will have taken confidence from the game in December: Chelsea know exactly which space to target with their counter-attacks. Kante may be the hero again. 2) Will Higuain’s movement allow Chelsea to capitalise on the spaces left by De Bruyne and David Silva? On a related note, Chelsea’s ability to counter-attack at speed has increased dramatically with Gonzalo Higuain’s arrival. A key feature of Sarri-ball is sudden vertical passes on the break, the flicking of a switch prompting quick one-twos and direct passing into the final third. Chelsea have rarely displayed this trait under Sarri, but Higuain’s presence should change that. Higuain is able to drop short and link play effectively (against Huddersfield he repeatedly received long ground passes to feet from Ross Barkley, while Eden Hazard played off him with Giroud-esque consistency), as well as suddenly sprint in behind the opposition defence. 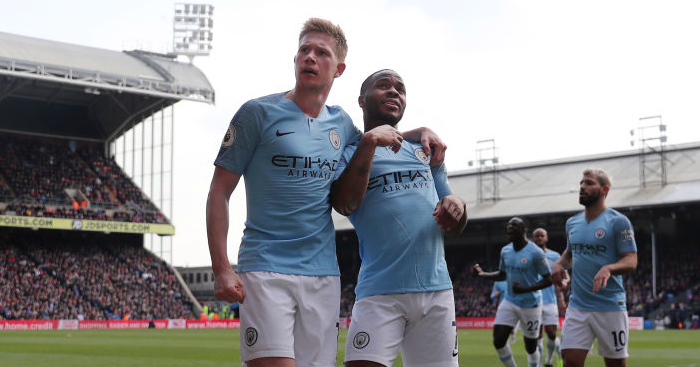 His rare mix of these two attributes can hurt City’s high defensive line; look out for Higuain dropping short off the back of Fernandinho, laying the ball off, and then spinning in behind Nicolas Otamendi. Guardiola may look to limit Higuain’s impact by fielding Ilkay Gundogan alongside Fernandinho, but this probably won#t solve the problem. City should dominate possession and win the territorial battle, which would inevitably lead to Gundogan roaming further forward. 3) Can Sane/Sterling expose Chelsea’s problems down Azpilicueta’s side? All four of Bournemouth’s goals in their 4-0 win over Chelsea at Dean Court came via counter-attacks down the flanks, exposing Chelsea’s frailty playing in a back four. They still don’t look comfortable, partly because the full-backs don’t get enough support in a narrow 4-3-3, but also because Cesar Azpilicueta isn’t performing well. City’s best chance of victory is to repeatedly hit that right side, using their touchline-hugging left winger (either Raheem Sterling or Leroy Sane) to isolate Azpilicueta and make runs in behind. Everyone knows City’s favourite way of scoring goals is to slide the ball in between full-back and centre-back for a winger to put in a low cross for a back-post tap-in. Chelsea are vulnerable to this move; Kante and Barkley will be too preoccupied with David Silva and De Bruyne to cover behind their full-backs. 4) Is this De Bruyne’s chance to shine for the first time since returning from injury? De Bruyne hasn’t recorded a goal or an assist in the league since December 22. He is yet to complete 90 minutes in any competition this season, and in the 3-1 victory over Arsenal last weekend he looked rusty, misplacing simple passes and failing to complete a single ‘key pass’, per Opta. 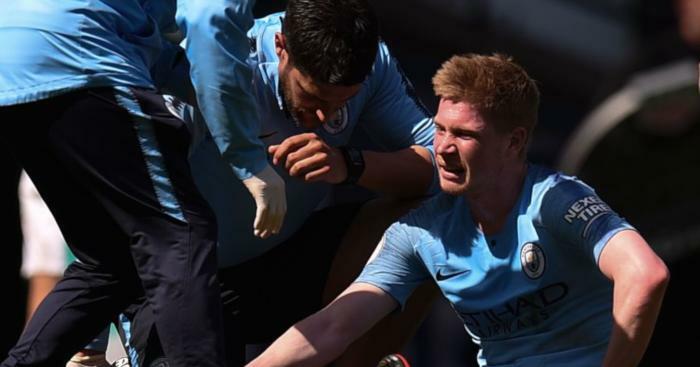 Fitness is obviously a concern for De Bruyne, but confidence is also becoming an issue. 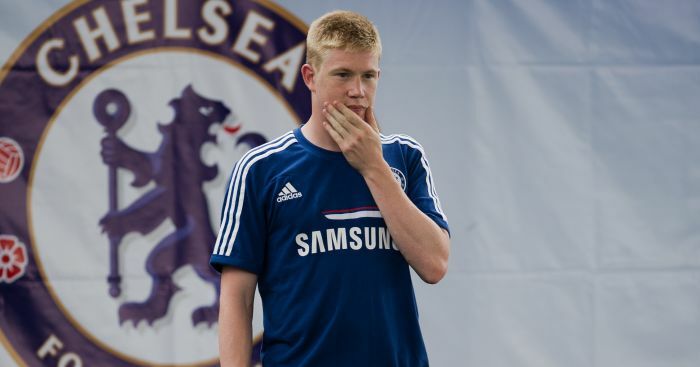 Chelsea could be just the opponent for De Bruyne to take centre stage again. Shuttling up and down the right half-space, it is certainly possible that De Bruyne will find himself with surprising amounts of room in which to operate. 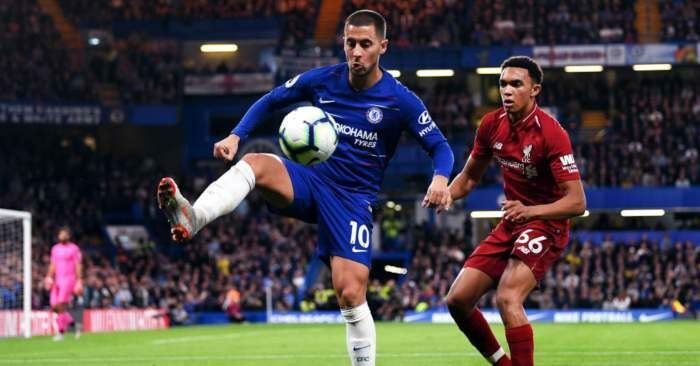 Barkley and Hazard are the two Chelsea players lurking in this zone of the pitch, and neither have the defensive capability to stop the Belgian – should his touch be sharper than it was against Arsenal. 5) Will Barkley’s performance (in his own half) define the contest? Aside from whether or not he can keep up with De Bruyne, Barkley’s performance from within his own half could have a huge impact. The midfield battle will be so important, and so claustrophobic, that the slightest weakness could have a knock-on effect that decides the outcome. As previously mentioned evading the City press is Chelsea’s main task, and Barkley is perhaps the least equipped to do so. He struggles under pressure, generally only performing well when given the time and space to spray Hollywood passes across the width of the pitch. These could, of course, be a prominent part of a successful Chelsea performance (as they were in the 5-0 win over Huddersfield), but far more likely is that Barkley will get a bit lost. If he doesn’t sit deep enough, or is unable to cope with receiving the ball with his back to goal, then City can win the ball high up the pitch and release their wingers in behind the Chelsea defence. It will require a perfect performance to prevent the hosts from swarming them; Barkley is the chink in the armour that Guardiola will target. It should be a fairly comfortable Man City win, right? Surely? Son and Lucas might be Tottenham's only chances. "This is the real truth: Raheem is one of the nicest, most humble guys I’ve met in football."